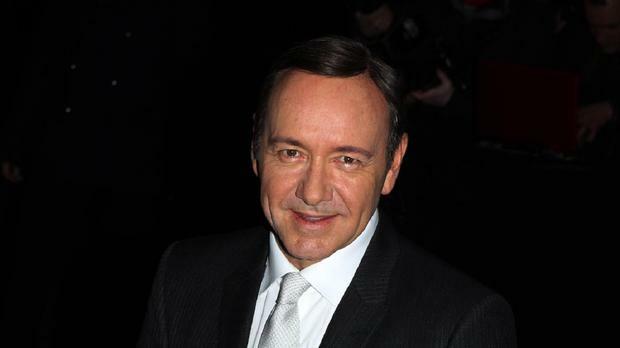 Kevin Spacey is set to tread the boards in a one-man play at The Old Vic. The 54-year-old House Of Cards actor will perform on stage to celebrate 10 years as artistic director of the London theatre. The Hollywood star, who steps down next year, will star in Clarence Darrow, a play about the pioneering lawyer of 19th century America of that name. The production sees the "larger than life" Darrow relive some of the experiences which established his reputation as a courtroom giant and civil rights hero. Double Oscar winner Kevin played the same character on stage in Inherit The Wind and 22 years ago in the PBS film Darrow. The Old Vic will also show a "visceral re-imagining" of Arthur Miller's famous play The Crucible, directed by Yael Farber, and has signed up Kristin Scott Thomas to star in Electra, a production of the Greek tragedy by Sophocles directed by Ian Rickson. Kevin, who has previously appeared in several Old Vic productions including Richard III and The Philadelphia Story, said that he was "thrilled to be returning to The Old Vic stage... a s I celebrate 10 years at the helm of this very special theatre". The American Beauty star, who will be performing in the round for the first time at the London venue, added: "I know our audience will be excited by this programme and I can't wait to be back on stage myself." Kevin described the play's English director, Thea Sharrock, who made the Christmas special of Call The Midwife, as "one of the most exciting directors of her generation". Previews of Clarence Darrow begin on May 28, while The Crucible follows on June 24 and Electra on September 20.